If you are searching for a good looking and user friendly product, the frosted horizontal half card holder from IDCardSupply.com is perfect for you! This product allows you to slide your magnetic stripe card through a reader without removing it from the holder, ensuring quick and easy access wherever you need to go. 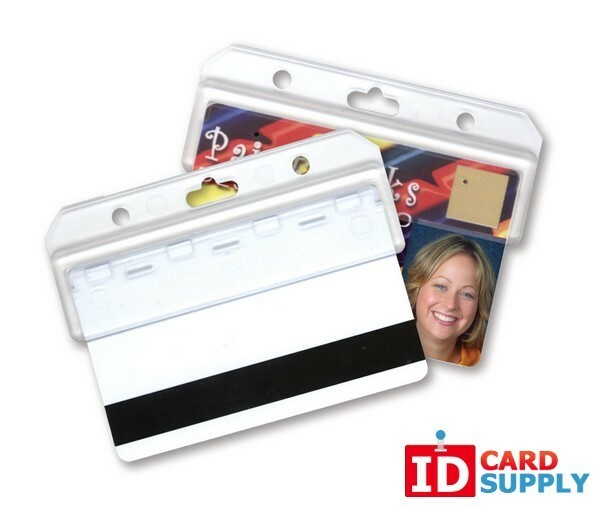 Ordering a pack of 50 will allow you to provide employees with a uniform way to display their ID cards!